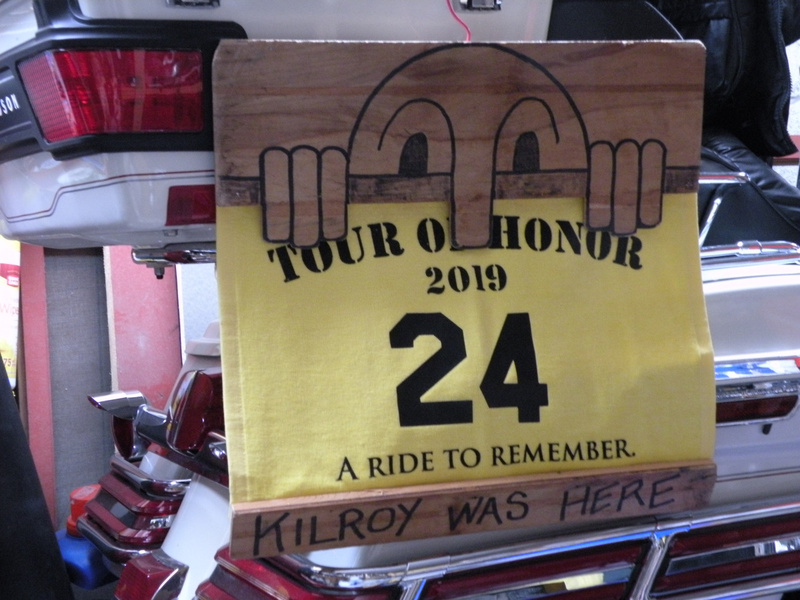 I, and others who are part of this forum, have been participating in the Tour Of Honor for some years. It is a self-guided, self-directed motorcycle tour throughout the US, visiting specified war memorials and veteran monuments in each state. Go where you want. Go when you want. Document your visit at each stop on the Tour with a photograph of your bike, your flag and the memorial. The Tour Of Honor is a fund raiser for three specific charities supporting veterans and first responders. When you register, a portion of your fee is automatically donated to one of the three charities, as you choose -- Operation Comfort Warriors, Fisher House, Fallen Heroes. The 2019 sites will be released on April 1st, then riders can go ride! So if you take a look at the website prior to April 1, you'll see the 2018 sites. Every year we select 7 sites in each state, and every year it is a different 7 so that it is always a fresh and challenging ride for repeat participants. But you'll still be able to get an idea of what to expect by looking at last year's sites. So consider yourself invited to register and ride! I received my rally flag, and I'm getting my Vee prepared. notacop and WildDoktor like this. The memorial site bonus locations for the 2019 Tour of Honor are released at https://www.tourofhonor.com/ when the clock strikes April 1st, Eastern time. Hope to see you on the road or at a memorial!